Adeayo (known amongst ACD circles as Ayo) entered the ACD programme in 2006 whilst doing his GCSEs at Blackheath Bluecoat School. He went on to study at BETHS Grammar School completing A-levels in Economics, Mathematics, Business Studies, and ICT. Adeayo attended Queen Mary University, where he spent time volunteering for Reachout, a mentoring charity for children in disadvantaged communities. 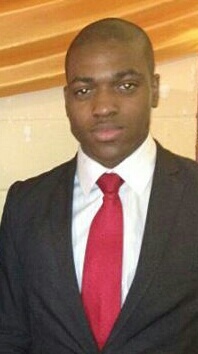 During his second year of university, Adeayo became the Vice President of the African Caribbean Society. He worked hard, and in 2011, graduated with a Bachelors degree in Economics, Mathematics and Statistics. Since graduation, Adeayo has taken on a role as a Sales Specialist within the Financial & Risk division at Thomson Reuters Corporation and has continued to stay involved in several mentoring programmes. In his spare time, Adeayo enjoys giving motivational talks, playing sports, and has set a personal goal to visit 12 different countries (one every month) during 2014. Entering the ACD programme was a real turning point for me. I’ve come to realise that reaching your goals does not solely come down to high ambitions and hard work, but also proper guidance and direction. These, among many others, were things I received from ACD, which has played massive part in my journey to date, and will probably continue to have an effect on me for the rest of my working life and beyond.